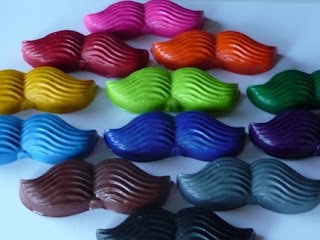 Craft Gossip/Indie Crafts: Recycled crayons in the shape of mischievous mustaches! just makes me want to giggle: so cute and clever. Image and idea credit: chase dreams etsy. Ginko Papers: I am in LOVE with Japanese Washi Tape. It's like masking tape....only cuter. Be sure to check out Ginko Papers (they area US vendor) and their adorable selection. It's perfect for crafting of muffin tin meals and bento making. Under The Table and Dreaming: Stephanie Lynn rocks an amazing blog full of inspiring ideas for home, family, and life. Last year she made a made a Christmas Tree from a recycled magazine. love it! I am thinking this would be a fun family project or a fun project to do with a group of friends! I hope I'm not out of line. I wanted to ask that you consider this post for your next Sunday Paper post.